In 2005 the organisation’s founder (“KK”) began teaching break-dancing to kids he had seen working or living on the streets and involved in anti-social behaviour and drugs. Break-dancing– and the support and encouragement of KK – provided them with focus, motivation and confidence and helped them transform their lives. Over 100 children come to Tiny Toones center every day. 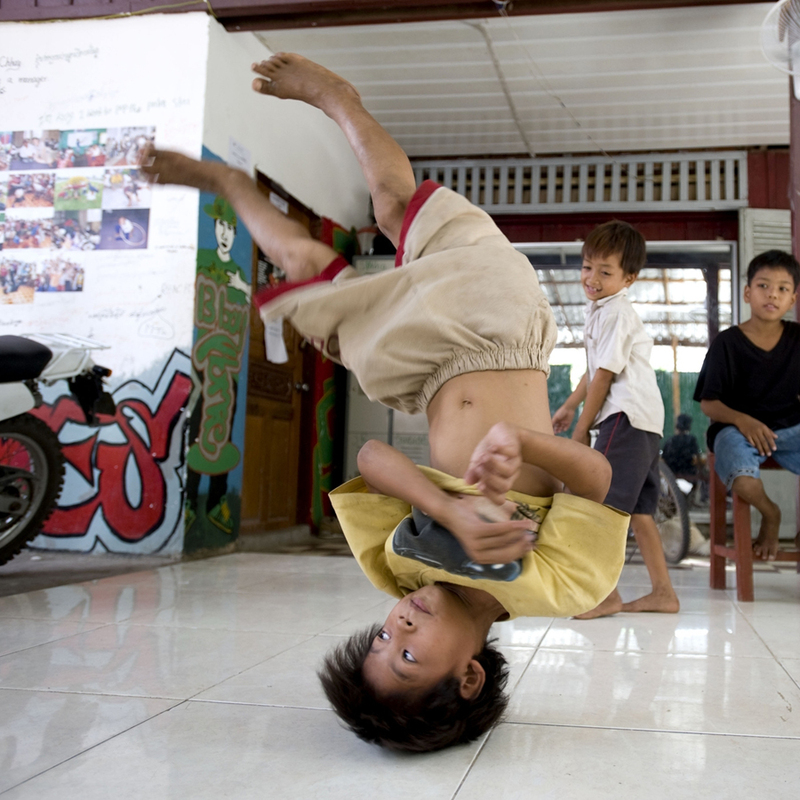 Hip-hop is very popular among Cambodian youth and Tiny Toones Creative Program offers children who may never have danced before, the opportunity to learn and practice for free each day. We are regularly visited by external artists and will arrange masterclasses in rapping, beat-making, DJing and graffiti art to help our kids learn from them and develop their skills. Some of our students have gone on to perform internationally, check out our YouTube channel to see some of these shows. Tiny Toones students also used all of their talents to produce their own music video for the song ‘Anakut’ which featured on our 2013 album release.